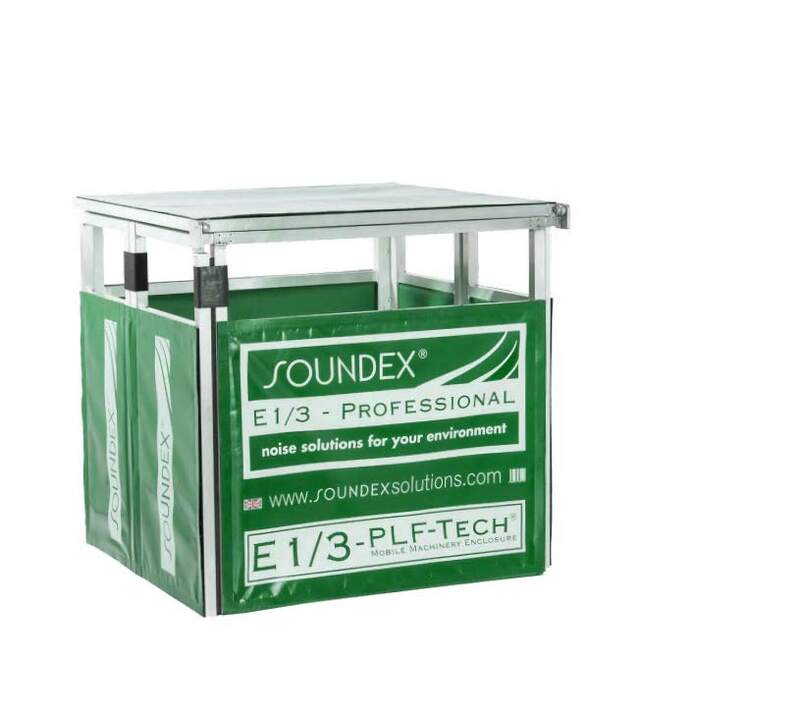 This all-in-one enclosure presents an exceptionally quick solution for controlling the noise from small portable generators or compressors. 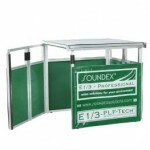 Designed for the purpose, it is ideal for short term works when time is at a premium, as it is extremely quick to erect. 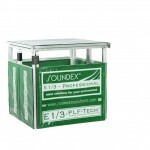 Easily transported to site it is ideal for night work shifts and emergency work. A generous air-flow allowance maintains safety and ensures against over-heating. exhausts and is easily applied. 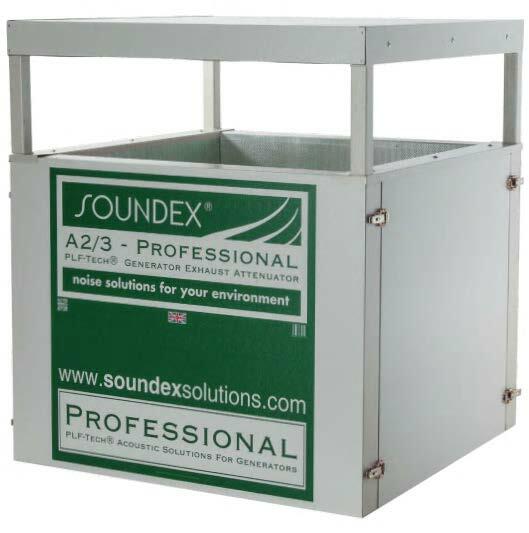 Whilst modern generators have dramatically reduced engine noise, the exhaust remains an area that is difficult to attenuate. 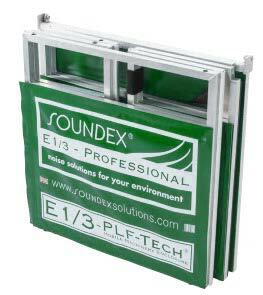 Designed for this specific purpose, the Exhaust Attenuator’s heavy duty construction endures exposed locations. Manufactured from high-grade materials, it can withstand extreme exhaust temperatures whilst being sufficiently ventilated to ensure that there is no reduction in engine efficiencies. Side access for refuelling etc. ‘O’ to the Building Regulations. 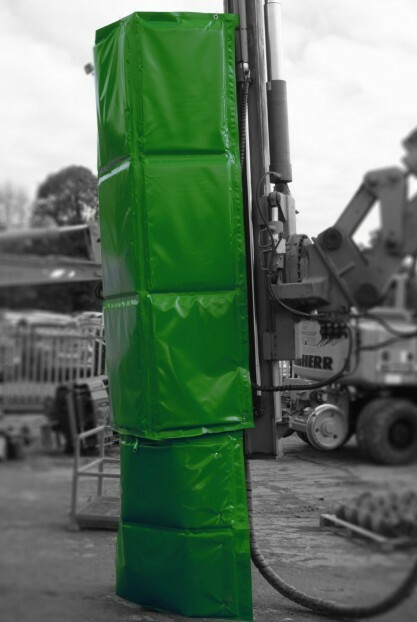 Designed specifically for piling within the rail industry, this patented attenuator helps to reduce the noise from steel cylindrical piles during impact. 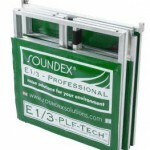 Extra strong magnets hold the attenuator to the pile during each impact, while individual attenuators are joined with a Velcro connection, removing the requirement for extra straps or buckles. Each 500mm section can be removed as the pile is driven into the ground enabling maximum attenuation throughout the piling process. 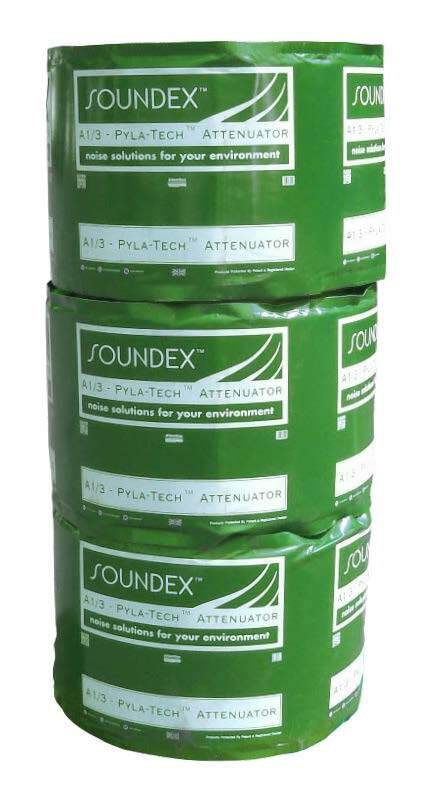 Unique noise attenuation solution for impact piling, released under the Soundex® brand by RVT Group. Meeting needs in the extensive line-electrification plan throughout the UK.